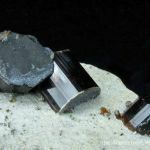 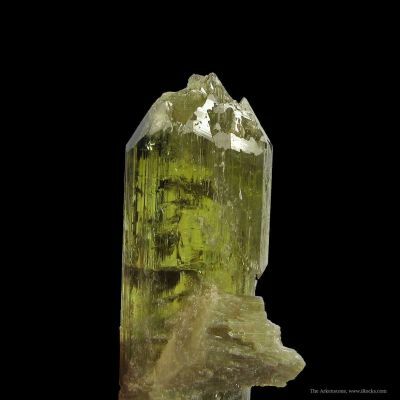 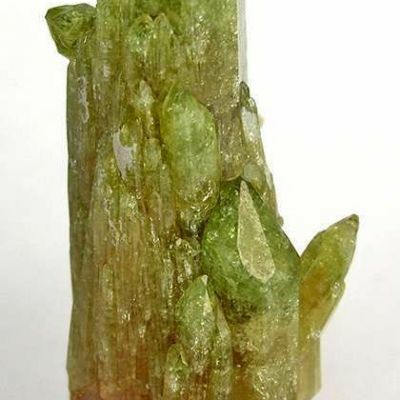 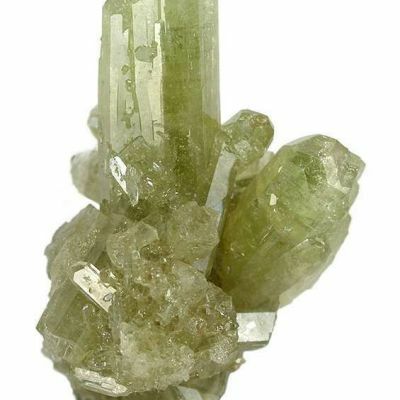 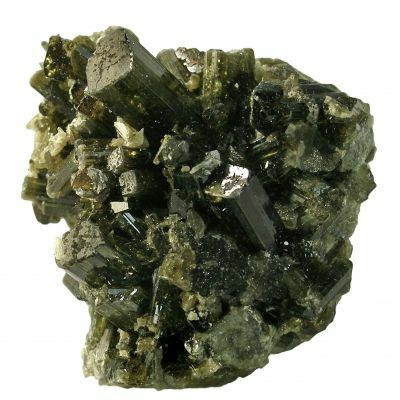 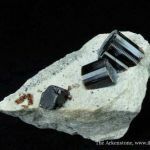 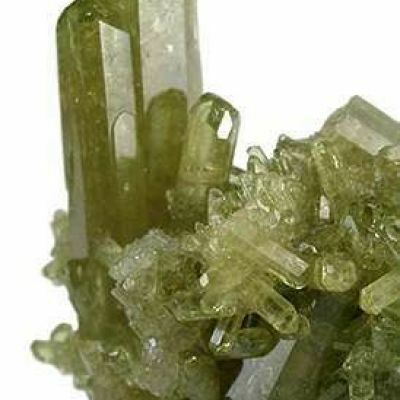 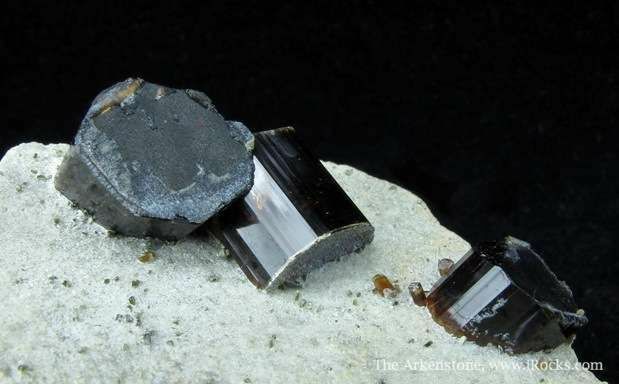 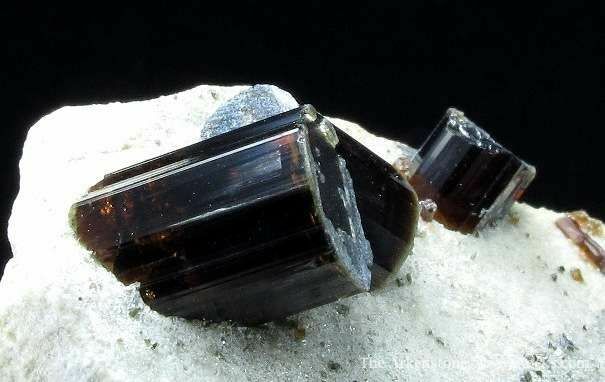 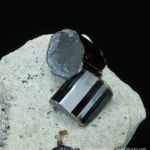 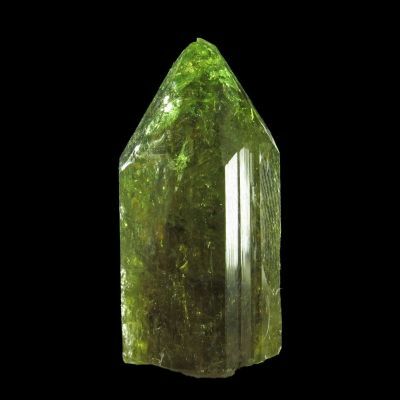 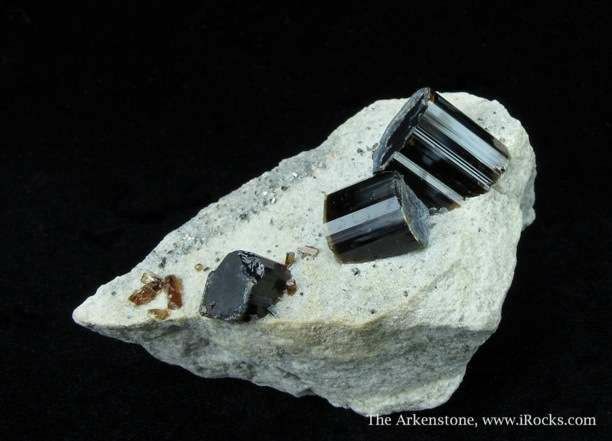 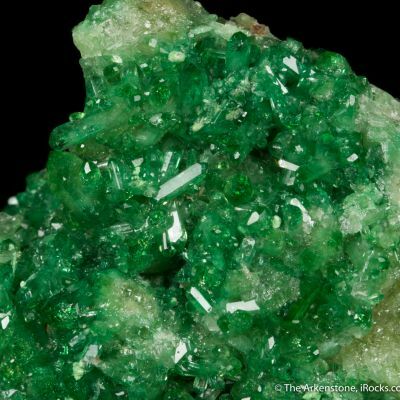 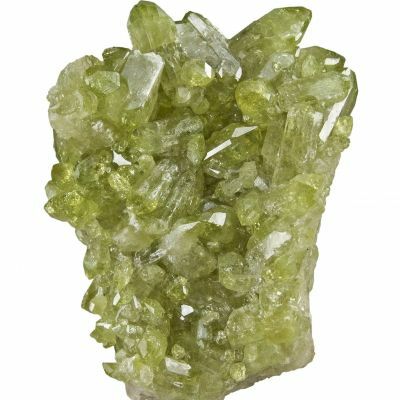 Fine set of three sharp, individual Vesuvianite crystals, on matrix. 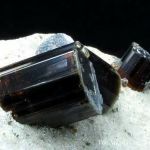 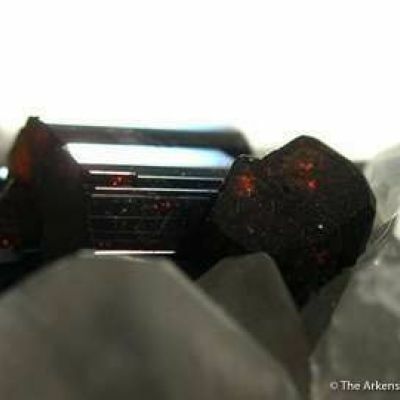 The color is a deep cinnamon-brown with flashes of red, indicating some amount of gemminess. 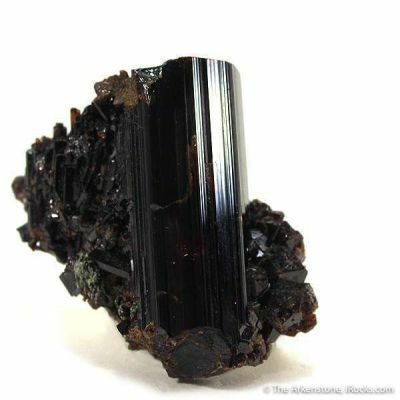 The luster on the striated faces is superb, with the terminations being complete, and frosted. 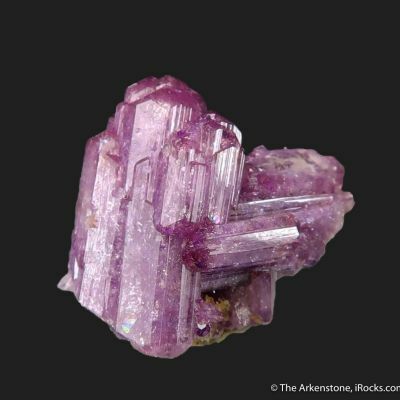 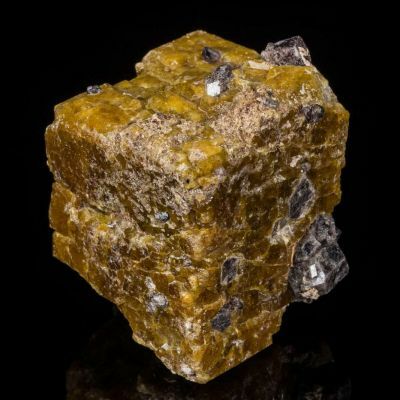 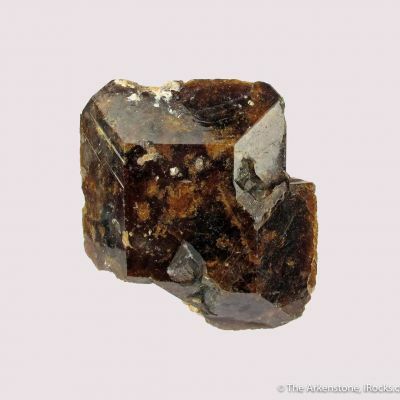 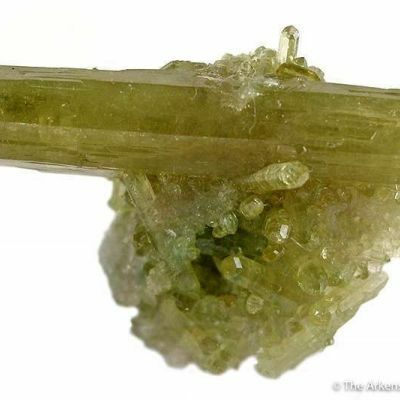 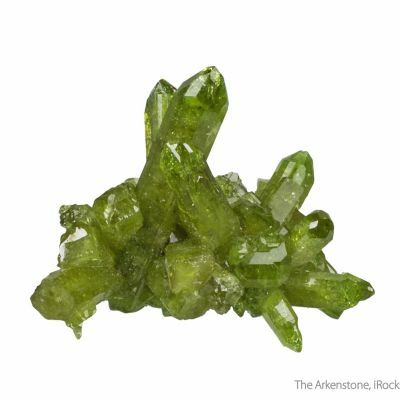 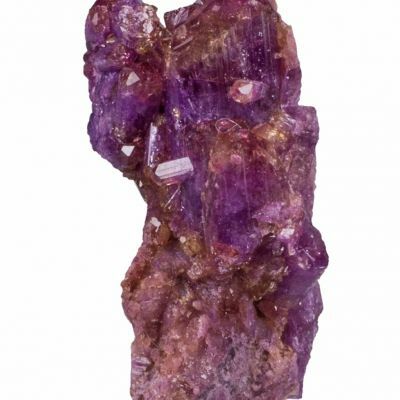 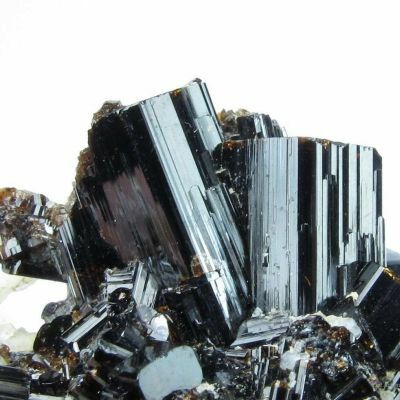 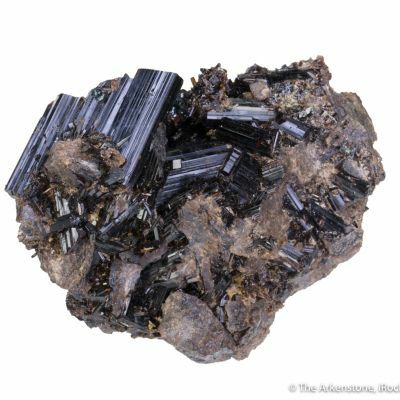 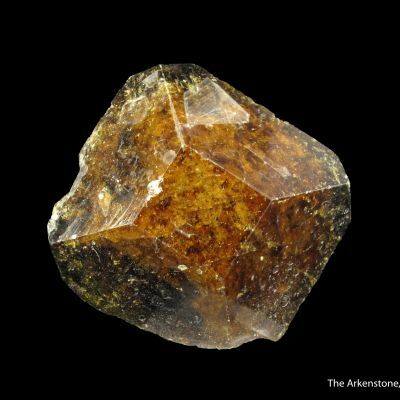 The largest of the crystals is 1 cm tall and 1 cm across. 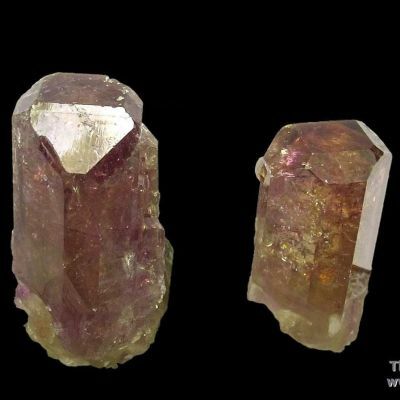 An attractive specimen from a small find in Pakistan.